The Department received a total of 244 responses to the consultation. 147 were in favour of Proposal 1 (mirroring Midlothian Council session dates) and 97 were in favour of Proposal 2 (mirroring Edinburgh City Council session dates). 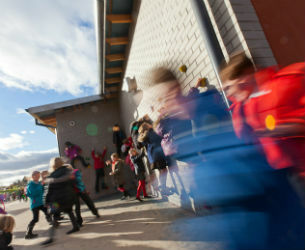 Therefore on 24 September 2013 the Education Committee were asked to approve the school session dates for 2014/15 as outlined in Proposal 1 (mirroring Midlothian Council session dates). If you would like to indicate your preferred option i.e. should East Lothian Council go with the draft proposed dates in Option 1 which align with Midlothian Council school session dates or should we mirror the City of Edinburgh Council dates (Option 2) please complete the online survey. The Department of Services for People is required to consult on the draft school session dates each year. Following the close of the consultion a report will be taken to the Education Committee on 24 September 2013. Thereafter the approved school session dates for 2014/15 will be published on the Council's website and sent out to schools.